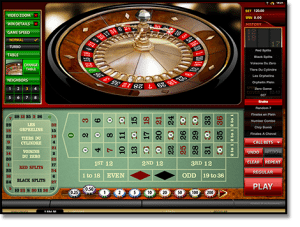 French roulette offers better odds and more betting options than the modern American-style games. It is especially the case when you play online at one of our top-ranked real money roulette sites, where the table limits are more flexible and you don’t have to waste cash on those extra expenses which come with a night out at a land-based casino. The best AUD roulette casinos on the Web only use games from the industry’s leading software developers. These brands and their online roulette games are all approved by trusted gaming authorities such as eCOGRA (eCommerce Online Gaming Regulation and Assurance), which ensures fair results and a safe, high-quality gaming experience. No casino software company has more runs on the board than Microgaming, who have provided top-notch online gaming since 1994. The Microgaming French Roulette game is one of the best in the business, offering a $400 betting limit and la partage rules for a 1.35 per cent house edge on even money bets. NetEnt boasts a vast catalogue of instant play roulette games for Australians, many of which come with flexible table limits appealing to low-bet players and high-stakes punters alike. While the various French Roulette and European Roulette titles may be aesthetically distinct, they all offer the same basic features: call bets, special bets, no half-back rule and a 2.70 per cent house edge. For live dealer roulette with traditional French betting rules, Evolution Gaming’s real-time tables are the way to go. Live French Roulette Gold offers a stunning blend of digital convenience and immersive authenticity for the discerning player, with imprisonment rules for outside wagers and a very generous $5000 table limit. Android and iPhone casinos are fast becoming the mode of choice for Australian roulette players. But are there are any French roulette games available for AUD play on smartphone and tablet devices? Believe it or not, your best bets are the revolutionary mobile live dealer casinos at Guts.com. High-stakes players will love French Roulette Gold, while those on a budget can get la partage for as little $0.10 per spin in Auto Roulette Live. 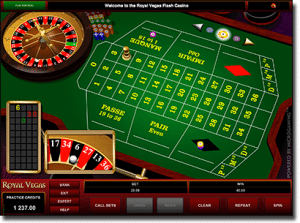 If you prefer an all-digital game, some Microgaming casinos offer a mobile version of the RNG-based French Roulette title. Our approved mobile gambling sites are optimised for instant browser play on most smartphone and tablet operating systems, including Apple iOS, Android and BlackBerry. 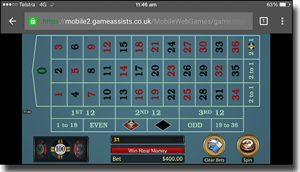 This means you can enjoy real money mobile roulette on iPhone, iPad, Samsung Galaxy, Sony Xperia, HTC One, Motorola Moto X – whatever smart device you have. French roulette rules are becoming harder and harder to find at land-based casinos in Australia. This is primarily because double-zero roulette is now the standard option on the main gaming floor at most venues, especially at lower betting limits. If you have the cash to splash, your best bet is to head to the VIP rooms at some of the country’s more prestigious gambling establishments. High-end parlours such the Mahogany Room at Melbourne’s Crown Casino and the Sovereign Room at The Star in Sydney offer French roulette layouts, although en prison rules may not always be available.